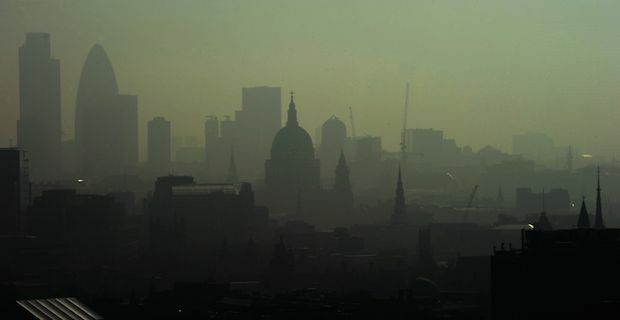 Citizens in the South of England and Wales have been warned to stay indoors as the level of air pollution has been forecast at "Very High" today, the highest possible warning. The severe warning is due to the highest levels of Smog in recent decades mixing a powerful influx of Saharan dust which is being swept across the UK by high winds. Saharan dust has been reported across the UK and Europe in recent days with it leaving noticeable deposits of red sand on cars and windows. The South coast will be affected most today with the bad Smog due to make its way North tonight and tomorrow. People are being warned to return indoors if they experience any trouble breathing, coughing or irritation of the eyes. Those with asthma are being urged to use their inhaler on a more regular basis as the air is going to be very harsh today and tomorrow in affected areas. People with heart conditions and lung problems are also being urged to avoid strenuous activity until air quality returns to normal levels. The Department for Environment, Food and Rural Affairs has warned to "Reduce physical exertion, particularly outdoors, especially if you experience symptoms such as cough or sore throat.". Air quality plays a huge role in our health and events such as this need to be taken seriously. Air pollution is a huge concern around the world and a number of studies have demonstrated links between poor air quality and both heart failure and lung cancer.